Studies have shown that urbanites sometimes feel socially isolated when living in the inner-city. Studies have shown that urbanites sometimes feel socially isolated when living in the inner-city. This is why many apartments feature shared amenities where residents can gather, and now there is another way to increase the opportunity to connect. Edwin Van Capelleveen, a product designer from Design Academy Eindhoven, has come up with a new concept titled ‘Social Balconies’. He has proposed a modular balcony system in which a bridge or a pair of stairways will connect pre-existing balconies, creating communal areas between neighbours. Capelleveeen has even included planters which can be attached to the railings to make the building come alive. Capelleveen told Dezeen he thought balconies have mainly been used for hanging laundry, and he saw the opportunity to utilise these spaces to combat social isolation in urban spaces. "We have to explore how we can live alongside each other, and not just next to each other," Van Capelleveen said. "My design creates a space to make connections and minimises social boundaries by connecting the apartments. The added space is intended to create a sense of belonging in a small community." As more and more people make the move to inner-city apartments, developers have started spending more time on increasing opportunities for connection within their projects. A great example is Breese Street by Milieu, which features a rooftop garden with shared laundry facilities, and communal vegetable patches and garden beds. These are all sustainable amenities which allow residents to connect over a shared activity — which is the fastest way to make long-lasting friendships according to Michael E. Bratman, author of Shared Agency: A Planning Theory of Acting Together. Similarly, Arlington Grove in Dulwich Hill, Sydney, has been carefully planned around Arlington Square. A gathering place for the community, the square includes a café where residents can bump into neighbours as they grab a takeaway coffee. 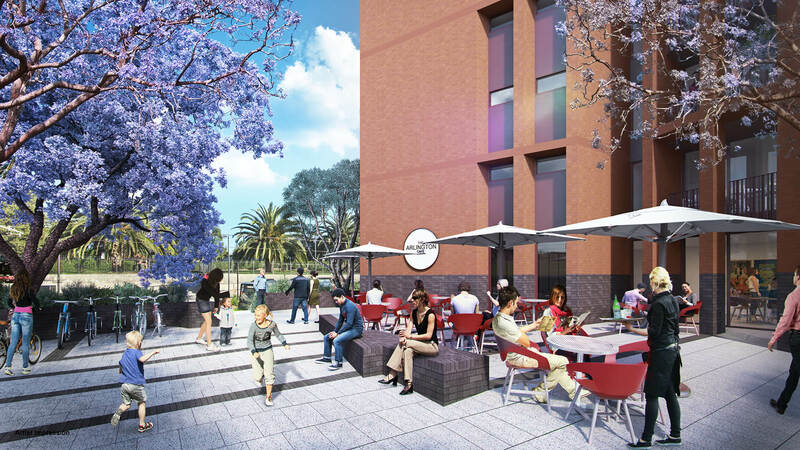 Other developments include facilities such as luxury movie theatres, resident dining and lounge spaces, libraries, and even coworking spaces. All of these features serve the ultimate purpose of establishing a residential community so apartment dwellers can feel connected and socially fulfilled. And with fantastic innovators all over the world coming up with new and exciting ways to tackle the issue of social isolation in urban cities, we’re excited to see what comes next.